Our Lancaster car accident lawyers and law firm provide expert personal injury legal services for those injured in auto, motorcycle and other accidents, and for the relatives and families of those killed in car and other fatal accidents for wrongful death claims, in Lancaster, California, a city in northern Los Angeles County California. If you had a car accident or other personal injury claim in Lancaster, Los Angeles or anywhere else in California, please contact our attorneys and legal team nowfor a completely FREE CONSULTATION. For additional helpful information, please visit our updated and comprehensive car accident web site simply by clicking here. 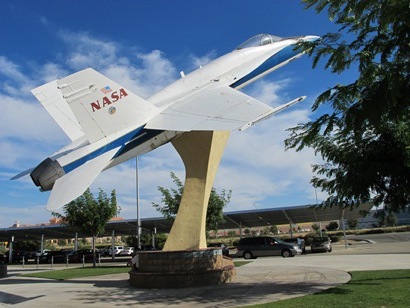 Lancaster is the main city inside the Antelope Valley and is bordered by the San Gabriel Mountains, Santa Clarita, Bakersfield and Victorville. According to the 2010 United States Census, Lancaster has a population of 156,633 people, making it the 30th largest city in California. A Lancaster car accident can be tragic and can leave you or a loved one in a terrible state of shock so it is very important to have a skilled and experienced car accident lawyer on your side. We have more than 40 years of success in handling car accident and other personal injury cases in Lancaster and throughout California and we have been recognized as PERSONAL INJURY LAW FIRM OF YEAR 2011. Two of our senior attorneys, Robert Walch and *Gary Walch, were each selected as Top Lawyers in California (Highest in Ethical Standards & Professional Excellence). *Our aggressive but compassionate attorneys have resolved many thousands of cases and work tremendously hard to make the claims process easy for our clients, the victims and their families. We invite you to visit our new and updated Car Accident Web Site. The Law Offices of Gary K. Walch has beneficially recovered more than $100,000,000.00 in funds for the victims that have been hurt in car accidents and other personal injury accidents and provides immediate help in services such as medical care (usually without any payment until the case is resolved), specialists, property damage repair and settlement. 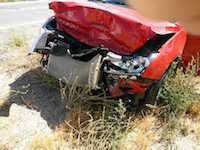 Please take some time to read our Car Accident Testimonial Pages simply by clicking here. One extremely agonizing and painful car accident injury that our clients have experienced is burn injury. Burn injuries are devastating and may result from tragic incidents such as a car accident, motorcycle crash, truck collision, explosion or fire, a faulty product, or any other type of motor vehicle accident. Burn Injuries differ in severity from incredibly tragic severe third degree burns often involving much scarring over the body requiring extensive rehabilitation, surgeries and medical care to much less severe, but often extremely painful, first and second degree burn injuries. No matter the cause of the injury, the pain is often severe and life changing. Burn injuries often involve scarring to the body and the victim of such burn injuries may need rehabilitation and multiple corrective surgeries. If you or someone you care about sustained any burn injury from any car accident, motocycle accident or other personal injury accident in Lancaster, Los Angeles or anywhere in California, please contact us now, including for recommendations to doctors and burn specialists who may possibly provide treatment without expecting any payment until the claim is resolved. The Walch Law Corporation provides you with the strong representation that you need when you or a loved one has been through a devastating car accident or other personal injury accident in Lancaster or anywhere in California. It is our job to best represent your interests and aggressively pursue your rights. Our staff handles accidents involving car, motorcycle, truck, bus, train, bicycle, pedestrian, hit and run, uninsured motorist (UM) and much more. Call us for an absolutely FREE consultation to review and analyze your car accident or other personal injury case. For your convenience you don’t even need to leave the comfort of your own home. Just like many of our clients you can do everything by telephone at 818-222-3400 or toll free 866 INJURY 2 (465879 2), email ( info@WalchLaw.com) or simply complete our very easy to use contact form.